﻿ The thing that stands out most about Lizzy Farrall is, even among the ever-diversifying Pure Noise roster, she occupies a lane all to herself. Even when compared to the other singer-songwriters the scene has produced, the vast majority of them come attached to an existing pop-punk or emo band with a sound that isn’t far from a stripped-down approximation of their existing style. As for Farrall, her approach is a lot more understated, favouring lighter pop-rock and British indie-folk tones that more aptly represent her introspective content. In the context of debut EP All I Said Was Never Heard though, that all proves to be both a strength and a weakness. For one, it presents a critically low-key representation of this EP, all warm, rounded acoustic guitars and Farrall’s quiet, dainty vocals that offer little in the way of a killing blow. Particularly on opener Broken Toy with an already tart melody emblazoned with extraneous twinkles, there’s not a hard bone to be found in this EP, and it can make the overall listening experience feel fleeting and insubstantial. On the other hand though, for songwriting as insular and personal as Farrall’s, each element manages to fluidly click together for what’s close to the best possible outcome. The prime example of this is in the mid-EP couplet of Better With and Better Off, the former being the mid-tempo pop-rock mirror of optimism for a relationship that seems to be flourishing, while the latter drops into a slower, more languid mould with its keys and strings to represent its sombre end. It’s not revolutionary by any stretch of the imagination, but it’s a tactic that gives these songs plenty of room to breathe and for the words to really swill around and resonate, and given how Farrall’s voice stays relatively untampered with, swooping and cracking in a totally natural fashion on a track like Pack Of Wolves, there’s a sense of sober grounding that’s rarely associated with a sound as polished as this. And sure, even across five tracks, this does feel like an entire range of musical talent undergoing a heavy workout to the point where it’s worth wondering what’s actually left to show, but All I Said Was Never Heard is the sort of EP that deserves a lot of credit for exactly what Lizzy Farrall does, namely condensing a compelling, well-crafted narrative into such a short release, rather than a pieced together cross-section of an artistic persona. A bit of the muscle of her labelmates wouldn’t go amiss, but this is an encouraging first step that really does only improve with each listen, and marks Lizzy Farrall down as the first name to keep an eye on through 2018. 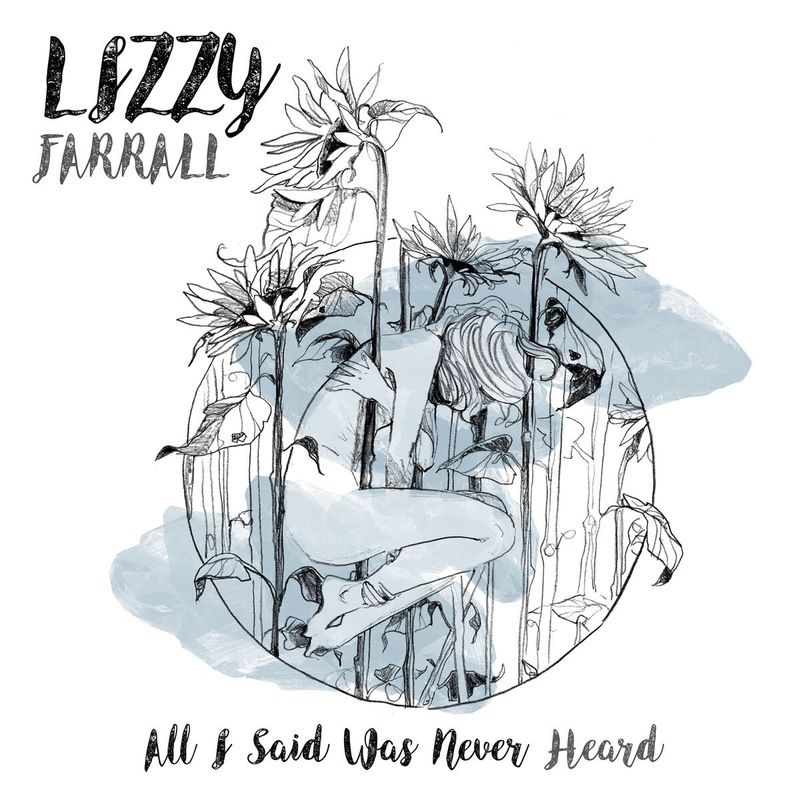 ‘All I Said Was Never Heard’ by Lizzy Farrall is out now on Pure Noise Records.